The allure of becoming rich and famous from publishing a viral mobile app can be pretty strong. A lot of people see mobile app development as the fast track to living the life of a Silicon Valley entrepreneur. Not to crush anyone’s dreams, but a healthy and sobering dose of reality should be the first order of business prior to rushing headlong into mobile app development. Getting the lay of the land is always a wise approach when embarking on a new venture. In that regard, I hope I can provide some general guidance to get you pointed in the right direction in getting started. My qualifications in mobile app development are not extensive. I began my mobile app development care working for a DoD sub-contractor developing a battlefield medical app. The app was under Android and that’s the extent of my mobile platform experience. We punted on the Apple iOS and Windows Phone versions of the app. After that gig ended I spent some time developing an app of my own which is still in the development phase. The training and research for both these endeavors required investigating publishing and promoting apps as well as sniffing around other mobile app platforms and development tools. My plan is to turn this topic into a series and see where it takes us. Page wrappers – apps that are essentially embedded web browsers used to contain HTML pages. Games – you know what these are. Form apps – these range from simple to complex apps that use a series of forms to send data to a backend database. Mobile wallets, banking apps, and retail ecommerce apps fall into this category. 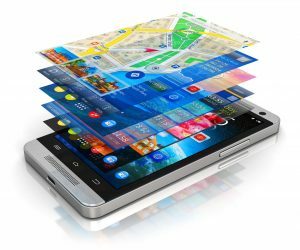 Utility apps – these use the built-in hardware of mobile phones to provide handy, dedicated apps such as flashlights, compasses, pulse rate checkers, stud finders, etc. Many mobile app entrepreneurs go in for publishing mobile game apps since the payoff can be substantial. But it’s like swinging for the fences: the chances of hitting a home run aren’t statistically high. Monetization of mobile apps is an interesting topic on its own. Many apps – particularly games – use in-app purchases to buy things like virtual “gold” or other goodies that can leapfrog a player to the next level. This is also a source of a burgeoning cybercrime exploit that I covered in an older post. Other forms of monetization are displaying mobile ads within apps. The “freemium” model offers both free and paid (premium) versions of the same app where the paid version either removes ads and/or offers enhanced features. I’ll cover mobile app monetization options more in-depth in an upcoming post. The major mobile app platforms are Apple iOS, Google Android, and Microsoft Windows Phone. Microsoft has lagged far behind Apple and Google when it comes to platform popularity and what they have on offer in the way of mobile apps. However, they have been moving in an interesting and exciting direction with Windows 10 Mobile and though it’s worth investigating, I’ll leave Microsoft out of the discussion since these aren’t the apps you’re probably looking for. Getting started publishing either iOS or Android apps requires a small investment even if you plan on doing no development whatsoever and will be outsourcing everything. You will still need developer accounts on these platforms in order to submit your next Pokemon Go app to their respective app stores. Apple requires an annual subscription to their developer program which runs $99 per year. Google Play is substantially cheaper at a one-time fee of $25. There is also the Amazon App Store, and though not as popular as Google Play, is still worth submitting your Android apps to for broader exposure. Payout percentages and thresholds vary across app stores. The options for developing your mobile apps start at a high-level in terms of opting for in-house (you) versus outsourced development. It then moves on to hosted app builders versus native coding, and finally, into the actual platform to target for your mobile apps. Those in a hurry and looking for the get rich quick option typically outsource their mobile app development. These are folks who have no programming experience and have no desire to learn how to code mobile apps. Many of the “make a killing publishing mobile apps without writing a line of code” info-products advocate this route. There’s nothing inherently wrong with outsourcing mobile app development or any other coding project for that matter. You just better make sure you know what you’re doing and vet all potential contractors thoroughly. This is where most newbie mobile app entrepreneurs get burned. It’s often better to get your hands dirty with doing some actual development yourself and then test the outsourcing waters once you’re armed with the knowledge of what’s involved in building a mobile app. You can then confidently interview contractors and know right away if you’re getting BS’ed. We’ll get into the actual development platforms for both iOS and Android in an upcoming post, but it’s worth mentioning the plethora of on-line, hosted mobile app builders. I don’t have any direct experience with these having only investigated a few of the early ones. Again, this is what many of the get rich quick info-products promote for those looking to build mobile apps without writing a single line of code. You may find that a lot of these hosted app builders are costly and don’t deliver the same degree of quality and control that native development platforms offer. It should be clear that there’s an awful lot to consider and discuss when it comes to developing mobile apps. And development is only one piece of the mobile app puzzle if you’re looking to go the entrepreneurial route and make enough money to at least cover your startup costs, let alone buy your first yacht. Regardless of which direction you decide to take in learning how to build, publish, and promote mobile apps it’s still a very worthwhile endeavor which can lead to a lucrative and exciting career as a mobile app developer. I’m looking forward to dusting off my Android app coding skills and taking you along the path to getting a useful (non-trivial) app off the ground and live in Google Play!